I recently received an e-mail from Claralynn Nunamaker, a Theravada lay practitioner residing in Scotland, asking my support for her petition to the United Nations Day of Vesak Conference organizing committee urging them to permit Ajahn Brahm to address their 2015 conference. Ajahn Brahm had been invited to speak about gender equality at the 2014 conference held in Viet Nam this past May, but the day before he was to deliver it his appearance was suddenly and unexpectedly banned. Apparently there was a split in the organizing committee, and Brahm was told that while the Vietnamese hosts supported his paper, the Thai delegation had organized opposition against it. 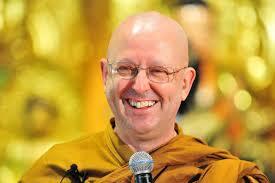 You can read the full text of the excellent speech Ajahn Brahm would have given here. Ajahn Brahm is a British-born Theravada monk, a former long-term student of the late Ajahn Chah, who serves as the Abbot of the Bodhinyana Monastery in Serpentine, Australia. In 2009 Ajahn Brahm committed the heinous crime of helping ordain four Theravada Buddhist nuns, or bhikkhunis as they’re called. Since no good deed goes unpunished, the all-male monastic sangha in the Ajahn Chah lineage subsequently severed Ajahn Brahm’s formal connection to it, a kind of Buddhist excommunication of sorts. You can find Ajahn Sujato’s description of that occurrence here. According to the Pali cannon, when the Buddha first created the sangha 2,500 years ago, it was initially an all male affair. The Buddha’s aunt and step-mother, Mahaprajapati, requested that he allow her to form an order of nuns, but he initially declined. The Buddha’s cousin and personal attendant, Ananda, then intervened on her behalf, asking if women didn’t the same potential for enlightenment as men. The Buddha agreed that “women are able to realize all the states leading to enlightenment and enlightenment itself.” Ananda then reminded the Buddha of all his aunt had done for him as an infant and child, and the Buddha finally acquiesced. Mahaprajapati founded an order of five hundred bhikkhunis and eventually attained enlightenment. His banned 2014 talk goes into depth about the legal, textual, moral, and historical bases for restarting female ordination. There have been a number of recent efforts to reboot the Theravada bhikhkuni line. In 1996 a Theravada bhikkhuni order was rekindled when 11 Sri Lankan women were fully ordained in Sarnath, India by the Mahābodhi Society with the assistance of Korean monks and nuns. In 2007 the International Conference on Buddhist Women’s Role in the Sangha, attended by luminaries such as Bhikkhu Bodhi and His Holiness the Dalai Lama, unanimously endorsed the revival of full Theravada female ordination. 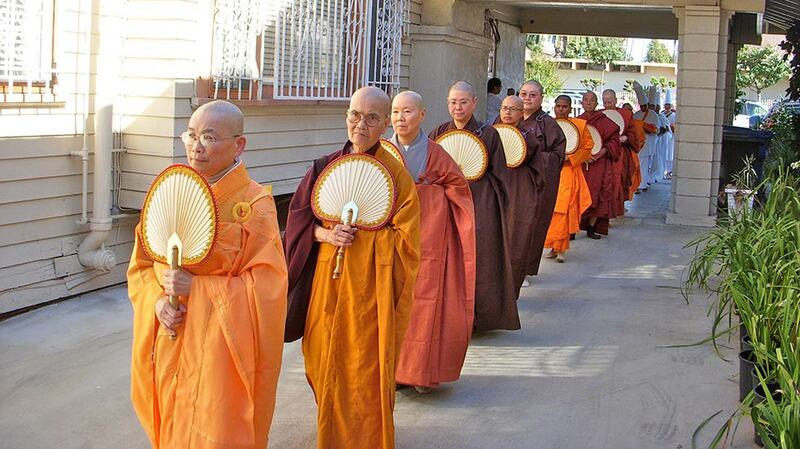 In 2010, bhikkhunis were ordained in a Northern Californian ceremony attended by Bhante Gunaratana, and there was a 2011 ordination at Spirit Rock. Bhikkhuni ordination was officially banned in Thailand in 1928, however, and continues to be banned within Thai borders. Claralynn Nunamaker — an auspicious last name, no? — forwarded her petition — along with over 5,000 signatures — to the 2015 UN Day of Vesak organizing committee earlier this week. I’m happy to be included among the signatories. I urge the UN Day of Vesak Organizing Committee to correct its historic mistake and take a step towards restoring women’s rightful place within the Buddhist sangha.